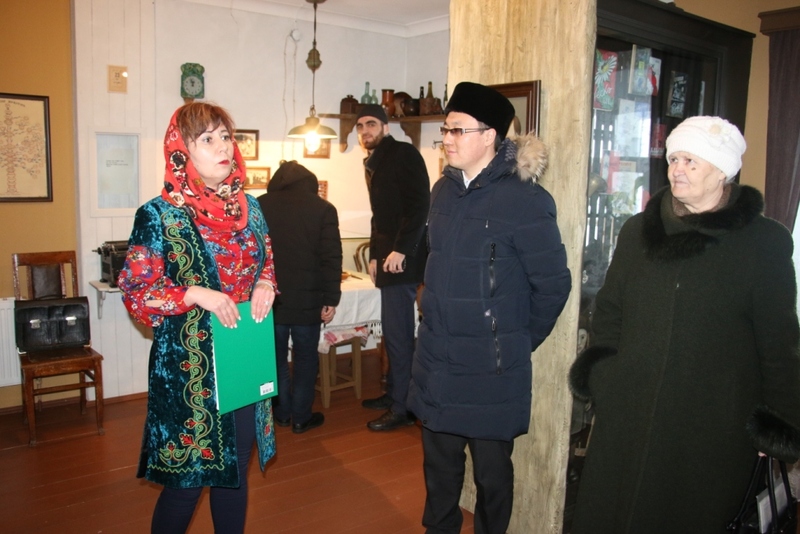 On February 11, 2019 the Methodist of the Department of the Museum-educational activity of the Bulgarian Museum-reserve Sagirova L. sh.for the first-year students of the master’s program “Bulgarian Islamic Academy” in the Museum of Abdullah Alish, a Museum lesson “Literary heritage of Alish”was held. Students got acquainted with the life and work of the Tatar, children’s writer. In this Museum lesson the emphasis was on the literary flowering of A. Alicia. Students and teachers learned about the life and work of the writer before the great Patriotic war in Kazan, where he served as Executive Secretary in the magazines “pioneer kalame” and “Technique” and the editor of the Tatar radio Committee. Of particular interest to the audience was the question of Alish’s attitude to Islam. Alish was also engaged in the translation of fairy tales of different Nations. During the war, while in Nazi captivity, Alish continues to write poetry. Only a small part of what was written has reached us. The friendship of Musa Jalil and Abdullah Alish, their opposition to the enemy and heroism is a worthy example for everyone. They believed that their poems written in a Nazi prisoner, ever return Home. Unfortunately, not all poems have reached us. Particularly affected listeners last farewell letter to Alicia, the mother, the girlfriend life, family and friends. This is a letter Home gave the anti-fascist Emile Maison. The life and work of Abdullah Alish is a vivid example of selfless service to his Homeland and people, for all generations.